The social media shitstorm surrounding the integration, immigration and housing minister, Inger Støjberg, and her (in)famous cake has at least had one positive outcome. The Danish Red Cross reports that since the picture went viral, donations have flooded in. In a moment of inspiration, the Red Cross posted a similar cake picture on social media taken by its secretary general Anders Ladekarl. 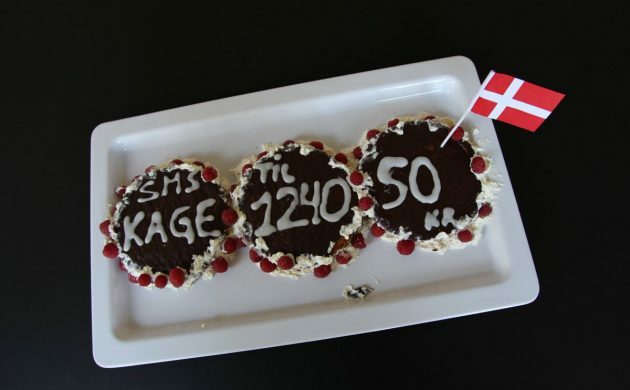 In the icing was an invitation to donate 50 kroner – which represents one kroner for each of the laws that the minister was celebrating tightening up. Jyllands Posten reports that by Thursday afternoon the amount had reached 500,000 kroner. “We had absolutely no idea that the amount would be so great. It’s seldom that we manage to tap so much into people’s desire to give – if you ignore the large collections around specific catastrophes,” said campaign leader Mette Pind Jørum. The money will go to the Red Cross’s humanitarian work in war-torn Syria and also to the neighbouring countries that house the greatest number of Syrian refugees. More particularly, it will be used for medical help, blankets and mattresses for those forced to flee in the cold weather. On top of that, it will also be used to provide psychosocial help to the many children traumatised by several years of war.